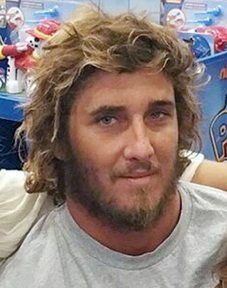 A Makawao woman was indicted last week on 13 counts of wire fraud after allegedly embezzling more than $400,000 over 6-1/2 years from Maui surfing prodigy Clay Marzo and his mother while working as their bookkeeper, according to court documents. Felicidad Rivera, 51, pleaded not guilty during her arraignment Monday in U.S. District Court in Honolulu. Her bail was set at $50,000. Marzo, 27, lost his home and his life savings and was left $30,000 in debt, his mother, Jill Marzo Clark, said in a phone interview Tuesday. Clark said that she also lost a significant amount of money. “It’s been a year of trying to get to this point,” Clark said Tuesday. “It’s bittersweet; it’s awful that she did what she did because she was like a family member. She was close with us and worked with me for a long time. According to the federal indictment, Rivera wrote herself 193 checks from January 2010 to October 2015 totaling more than $330,000 from the accounts of Marzo and his mother. Rivera also paid more than $75,000 of her own Chase credit card charges from Marzo’s account in 87 transactions from May 2010 to September 2015. Rivera concealed her transactions through phony entries in QuickBooks ledgers that she was maintaining, court documents said. Clark and her son had difficulties monitoring Rivera’s activities due to disabilities from which they both suffer. Marzo has Asperger’s syndrome, a high-functioning form of autism, and his mother has severe dyslexia. A jury trial was set for Dec. 28 before Judge Susan Oki Mollway, but it is expected to be continued, attorneys said. Marzo has a separate lawsuit against Rivera in U.S. Bankruptcy Court that is set for June.